What a fun way to make chicken – the Pom reduction gives this dish a very distinctive flavor. Heat 1 T oil in skillet. Sprinkle chicken with salt, pepper and garlic powder and sauté 4 minutes each side or until browned and chicken is done. Set aside and keep warm. Add 1 t oil to skillet and sauté shallots and onions 5 minutes. If the onions get too dry, add a teaspoon or so of hot water to the pan. Add mushrooms and sauté another 3 minutes. Add Pom Wonderful and Kitchen Bouquet and bring to a boil the reduce heat and simmer 5-7 minutes to thicken sauce. 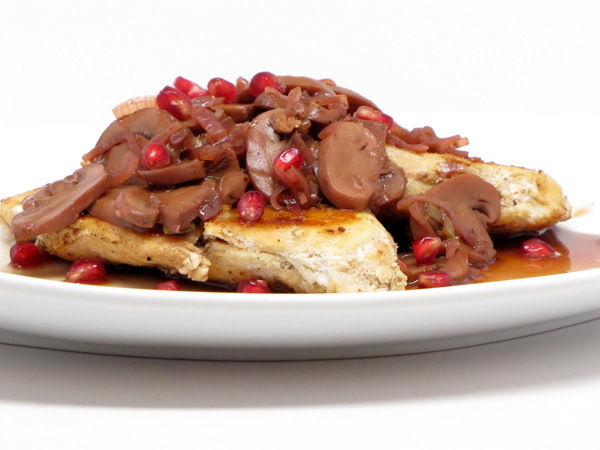 Serve mushroom sauce over chicken and garnish with pomegranate seeds. 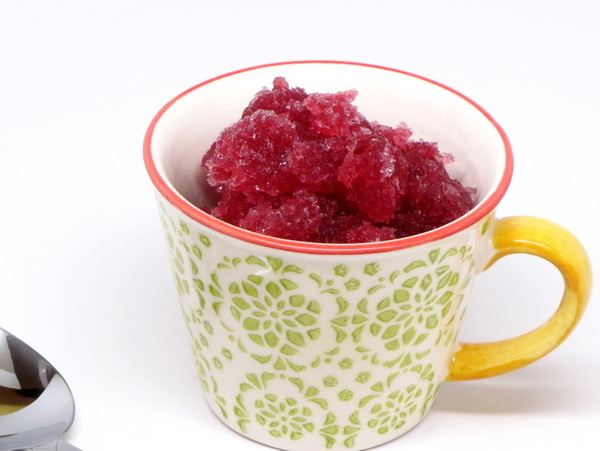 A granita is a frozen dessert with very much the same consistency of a ‘slushie’. It is a great refreshing dessert. This one uses Pom juice and just a hint of simple syrup to add a bit of sweetener. This is so good for you; it is packed with antioxidants. 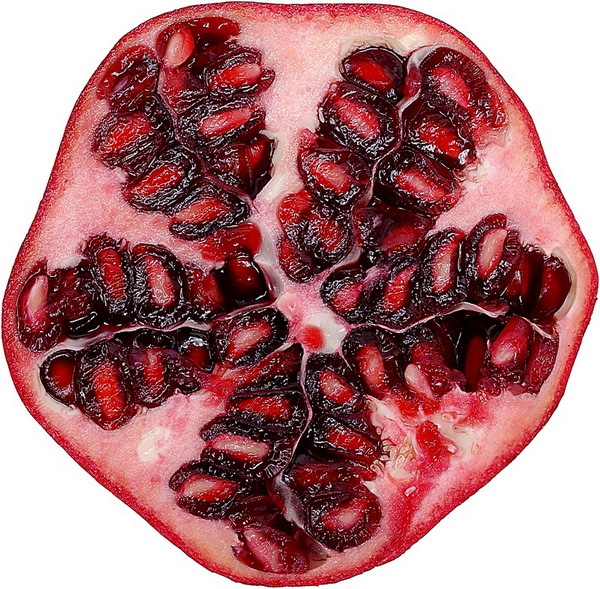 But the better part is just how wonderful it is – it’s POM WONDERFUL ! Place a metal bowl in the freezer to chill. Combine ingredients and pour into the bowl and place in the freezer for 30 – 60 minutes. When ice crystals form on the edges, stir with a fork being sure to pull away all the frozen pieces around the edges and freeze another 2-3 hours stirring every ½ hour. Best to serve right after the initial freeze time, but if f you let it sit overnight, be sure to defrost for 15 minutes or so before serving. Fresh fruit, tons of antioxidants, low cal – this is the perfect sweet side dish. Serve with fish, chicken, next to a sandwich, as a snack….just eat it up before your kid eats the whole bowl on you !! 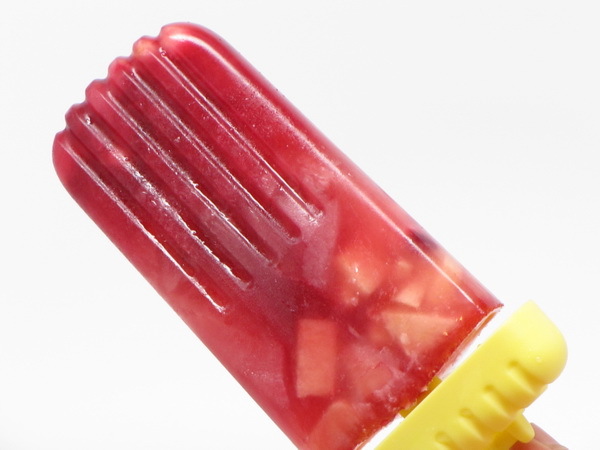 The addition of Pom juice to an already incredibly fresh cranberry relish … I’d call it a stroke of genius. You have to try it to believe how good it is !! Rinse the cranberries and pick out any bad ones. Place in a food processor and process until they are in small pieces. Remove to a bowl. Place apples in processor and blend until small pieces. Remove to bowl with cranberries. Place oranges in processor and process until all skin is in small pieces. 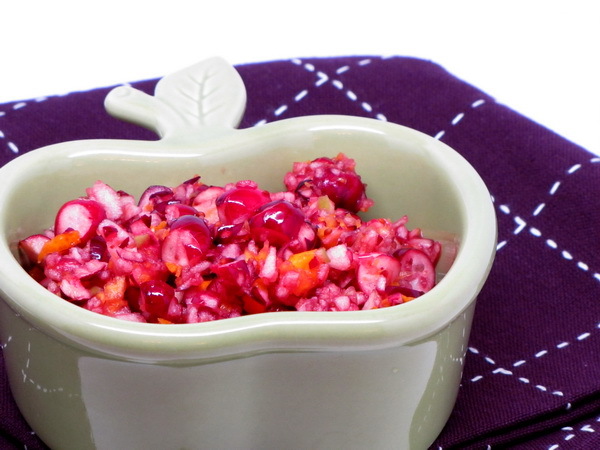 Remove to bowl with cranberries and apples. Add Splenda and juice and mix well. Refrigerate at least 4 hours so flavors blend. Pomegranates ! One of my favorite fruits. They’re not well know, but they’re well worth getting to know. Even without all the health benefits, I would drink this up like there’s no tomorrow. I love the rich, tart flavor. 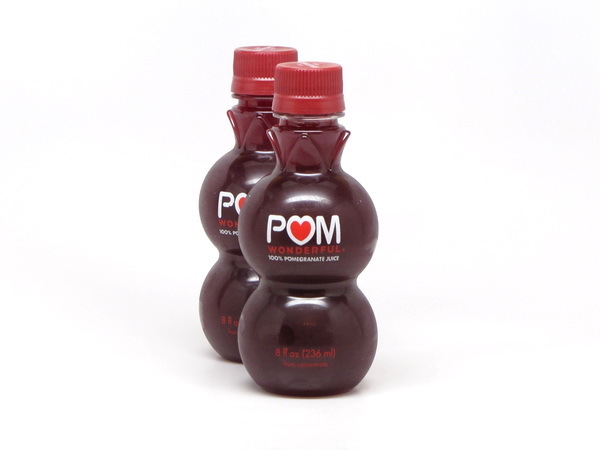 I think I am actually addicted to it 😉 And then there’s the recipes….Pom is great for making reduction sauces, as a syrup, in frozen desserts, and as an ingredient in other beverages. It’s versatile, fun, healthy and flavorful. Be on the lookout – I have about 3 POM recipes coming up for you shortly ! And grab yourself some POM WONDERFUL !